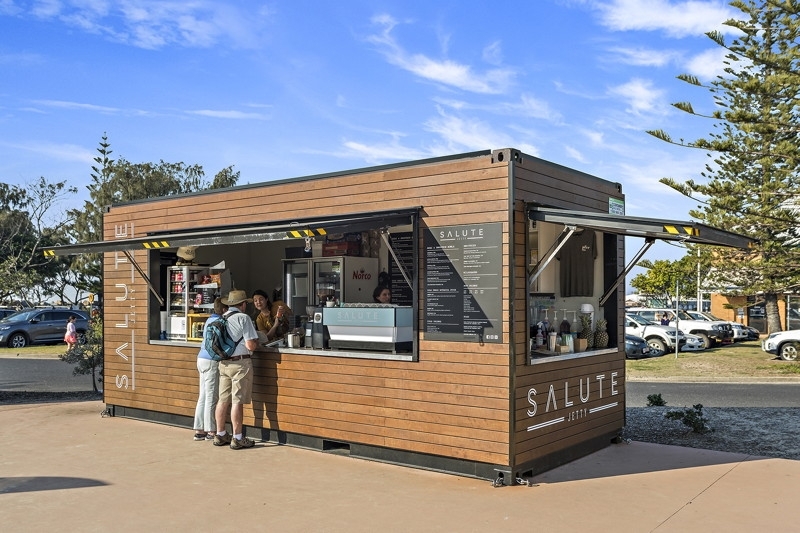 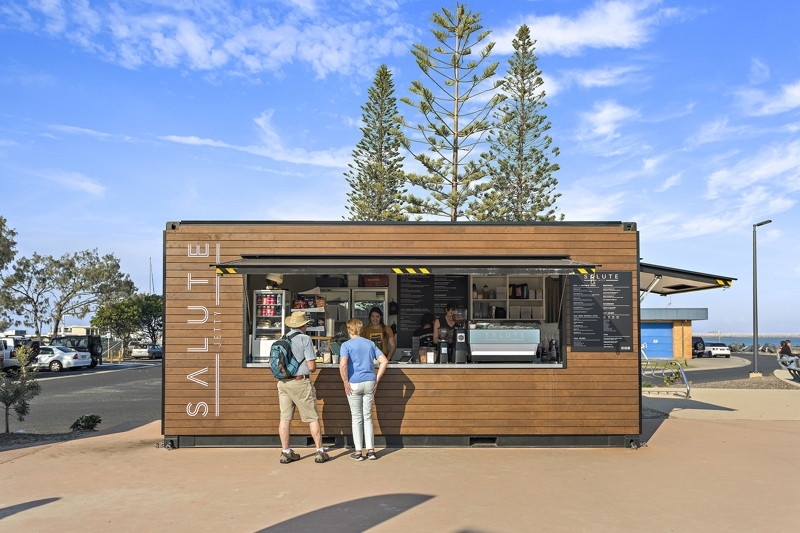 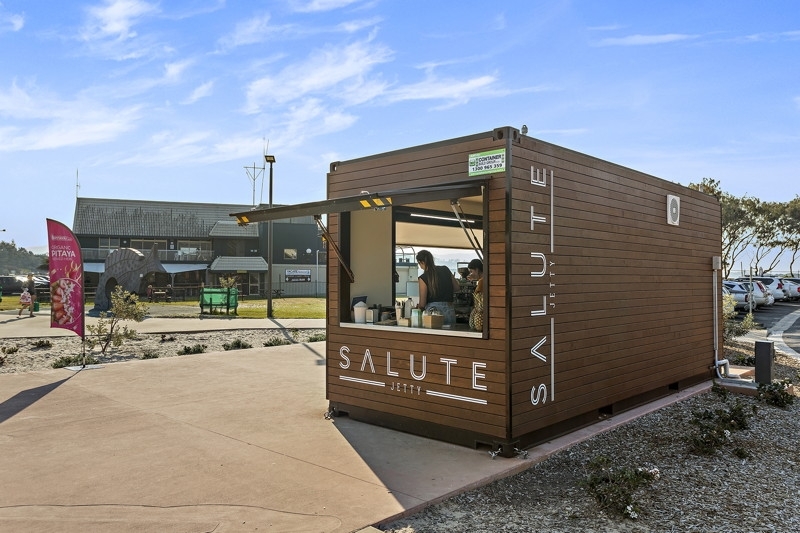 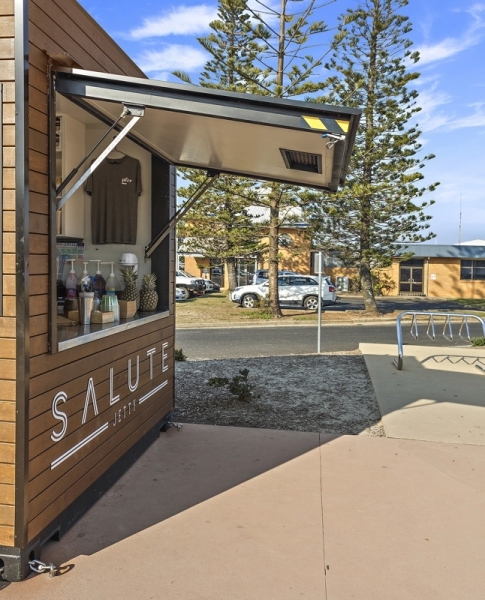 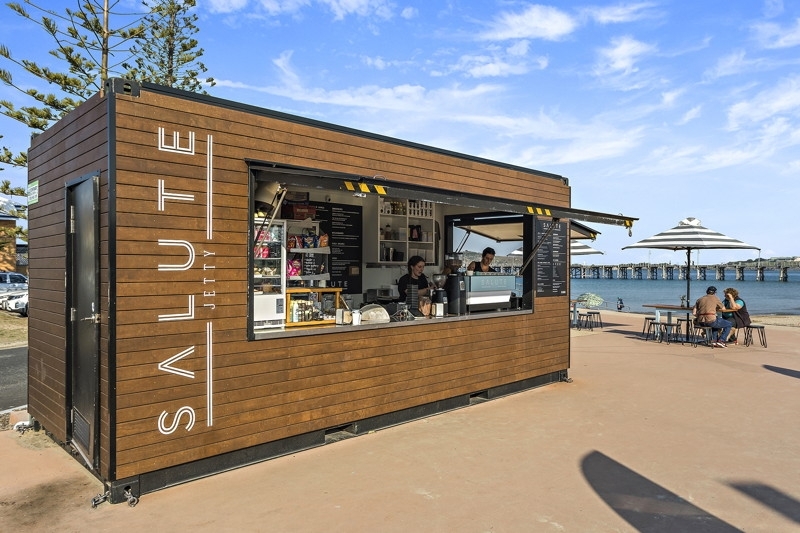 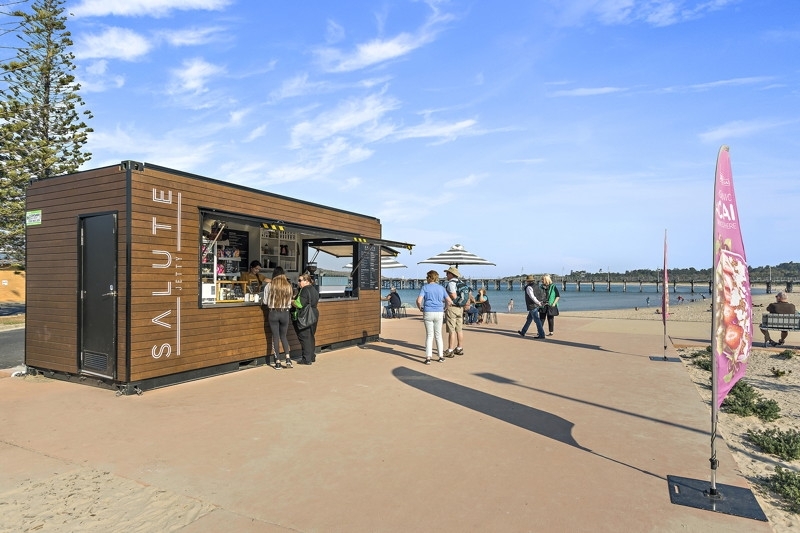 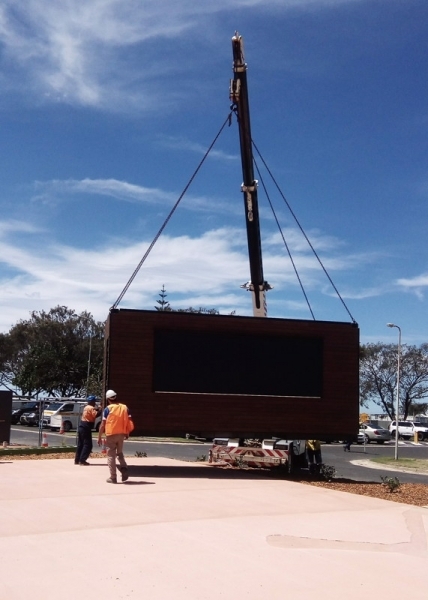 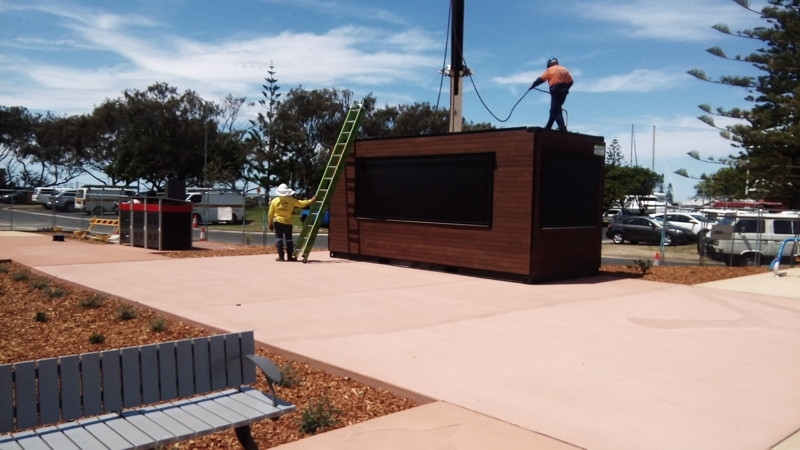 The new Coffs harbour Jetty café is built from a 20FT new high cube container with external batons and eco deck on the exterior. 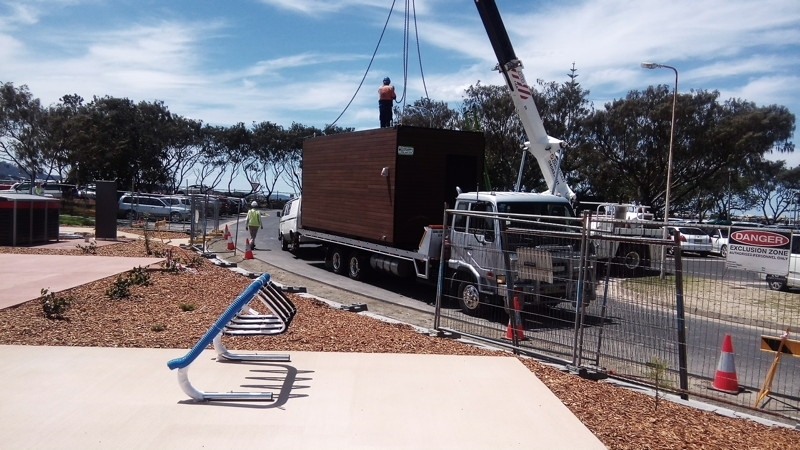 Full marine upgrade to cope with sea spray from the jetty. 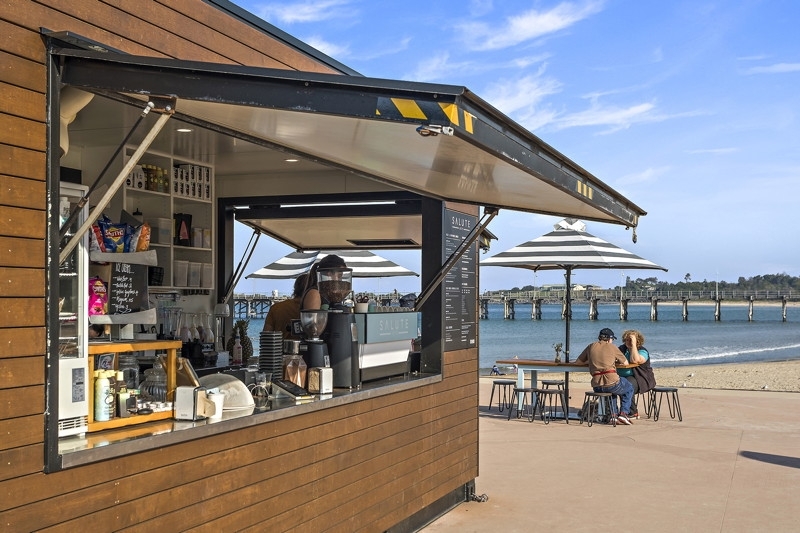 Marine stainless internally with dual tilt up gas strut assisted tilt up panels. 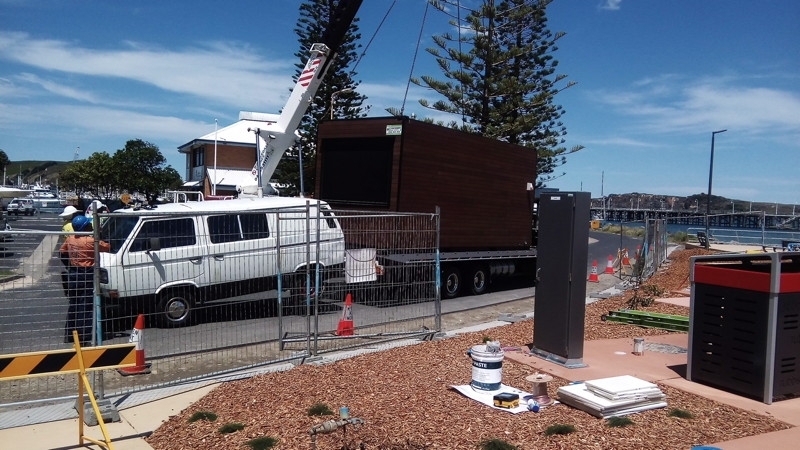 Additional safety lock in bars installed on both tilt panels. 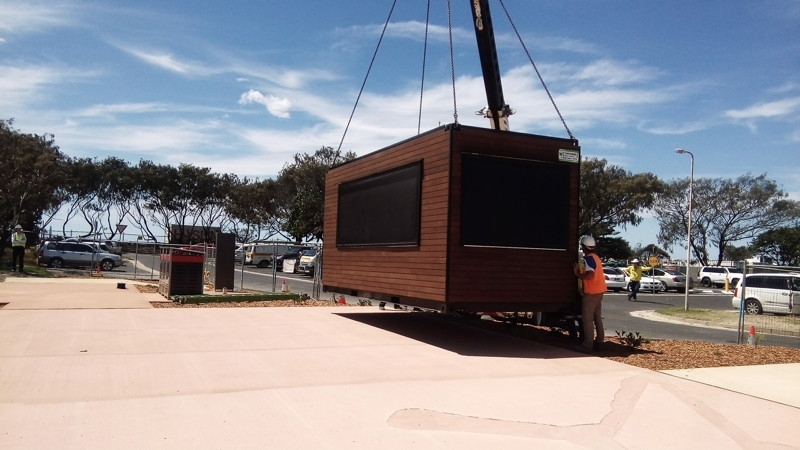 The tilt up panels are also fully insulated at R1.9 thermal rating. 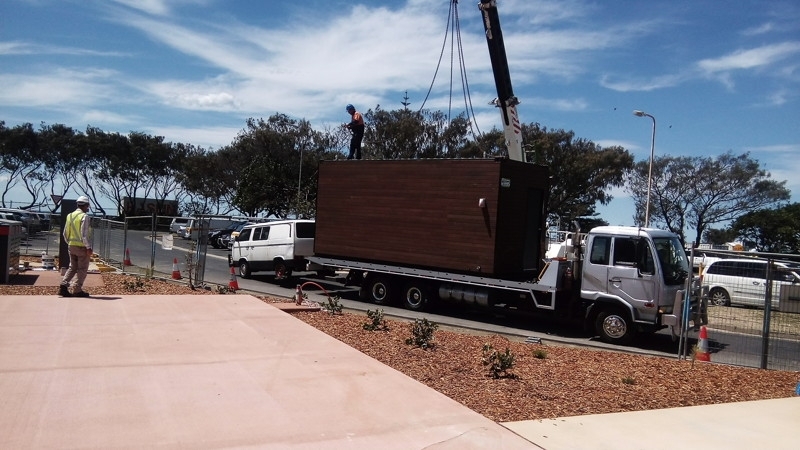 Custom cabinetry and benching to the clients requests. 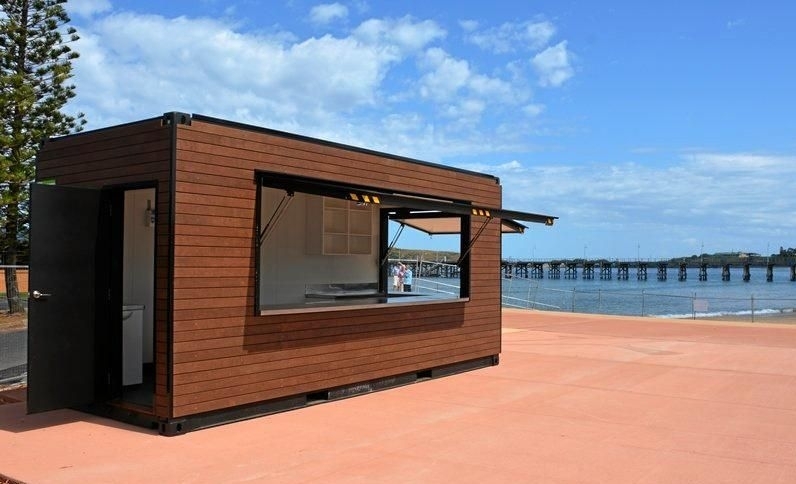 This unit was completely built as you see it on the gallery with minimal onsite setup.